Admiral Richard Evelyn Byrd was an America naval officer, aviator, and explorer. He made the first flight to the North Pole in 1926, flew over the Atlantic in 1927 a month after Lindbergh, made the first flight to the South Pole in 1929, and led five expeditions to Antarctica. 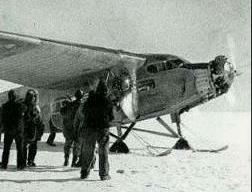 Admiral Byrd was the last of the great explorers. In the mold of Columbus, Cook, and others who came before him Byrd executed major feats of exploration on his own initiative. NASA and the National Science Foundation didn’t exist back in those days. Byrd conceived each trip, meticulously planned them, raised money, assembled ships/planes/equipment/volunteers, and led each expedition to a successful conclusion. It wasn’t until President Roosevelt asked Byrd to lead the U.S. Antarctic Service in 1939 that the backing and resources of the federal government kicked in. 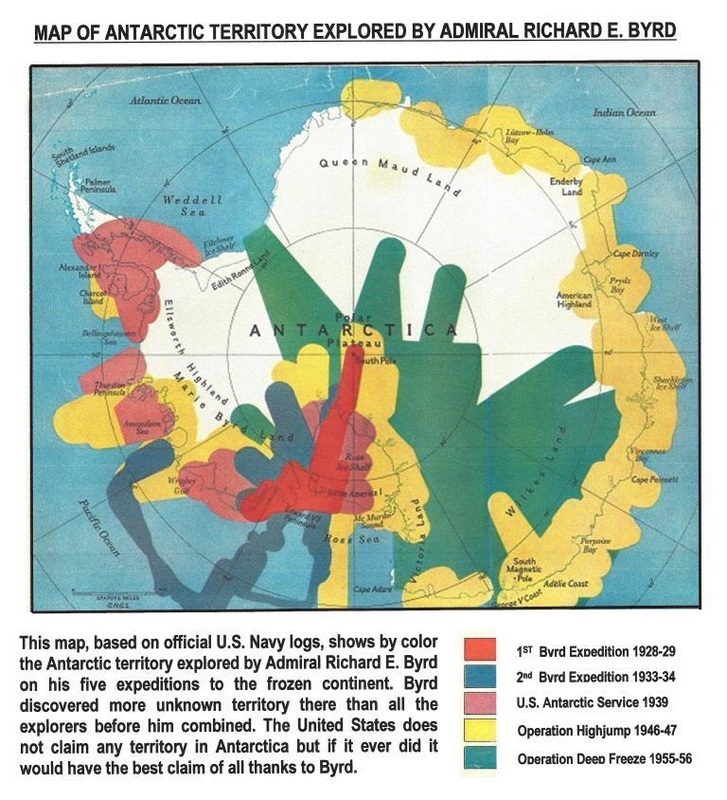 Byrd also represents the transition from the heroic to the modern age of polar exploration. 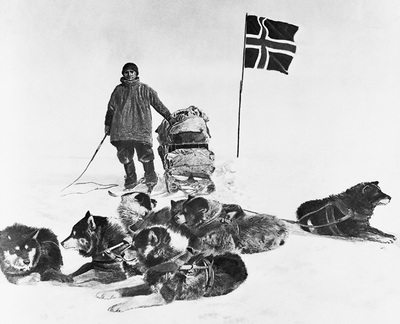 Early explorers like Nansen, Peary, Amundsen, Scott and Shackleton sailed in wooden ships to the Arctic and Antarctic where they courageously set off into the unknown using sled dogs or men to haul sledges over treacherous snow and ice. Communication with the outside world was impossible. By the late 1920s technology had changed. Byrd was the first to use airplanes on a scale big enough to explore vast stretches of unknown territory from the air, not the ground. 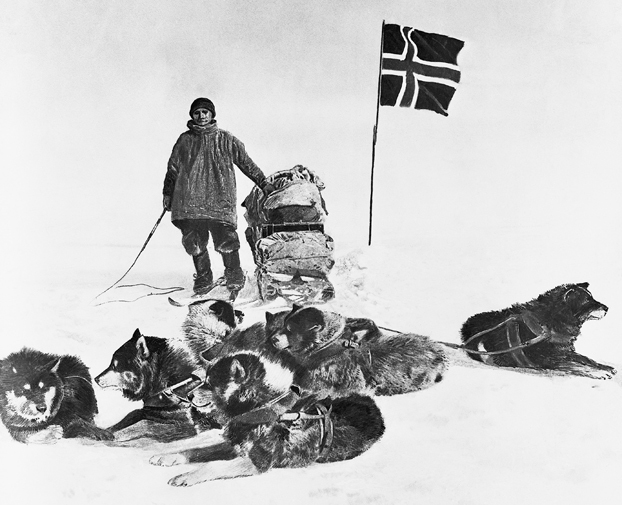 In 1911 it took Amundsen ninety nine days to reach the South Pole and return to the coast using sled dogs. In 1929 Byrd covered the same distance in only 18 hours in an airplane and was able to radio this achievement back to the States. By using airplanes, in fact, Byrd discovered more unknown territory in Antarctica than all the explorers before him combined!